What do you do when it rains 15″ in 3 weeks and turns everything into gross squishy swamp land? You get creative, that’s what. 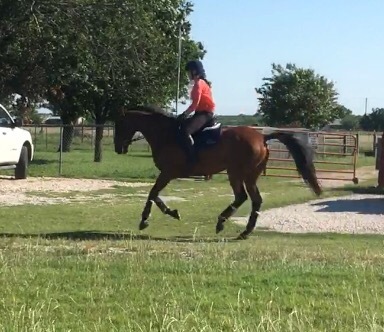 Hence the newest sport taking Texas by storm: Driveway Dressage. Arena too slippery? Pastures bogged down in mud? Horse hasn’t been turned out in a week and you think you might die? Not a problem. All you need for Driveway Dressage is a death wish and a semi-rideable strip of ground 3-6′ wide. You’ll easily recognize it as literally the only surface your horse can stay upright while trotting on. The shoulder of your local county road or the strip of grass beside the driveway of your barn should work just fine. Driveway Dressage is super informal. In fact, tacky looking outfits are encouraged. Ideally, nothing should match. Bonus points for big flowy shirts that make you look 20lbs heavier than you actually are and a ponytail flopping out of your helmet (skull caps are all the rage in DD these days). In Driveway Dressage everything is freestyle. Really you should just make it up as you go along. Planning is strongly discouraged. 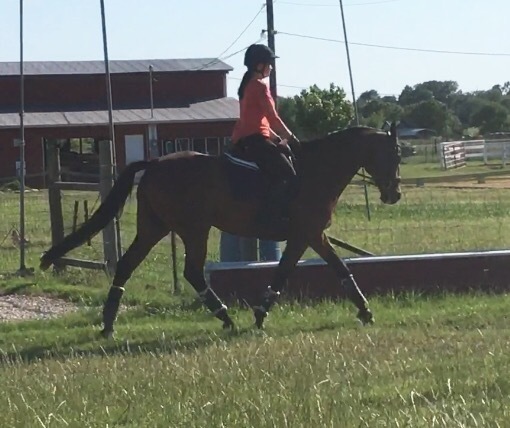 All you have to do is make sure you include walk, trot, canter, and do something that is a vague attempt at lateral work but not actually a success. Lengthenings are extra credit, especially if they’re not intentional and feature some bucking and squealing. Straightness is strongly discouraged. 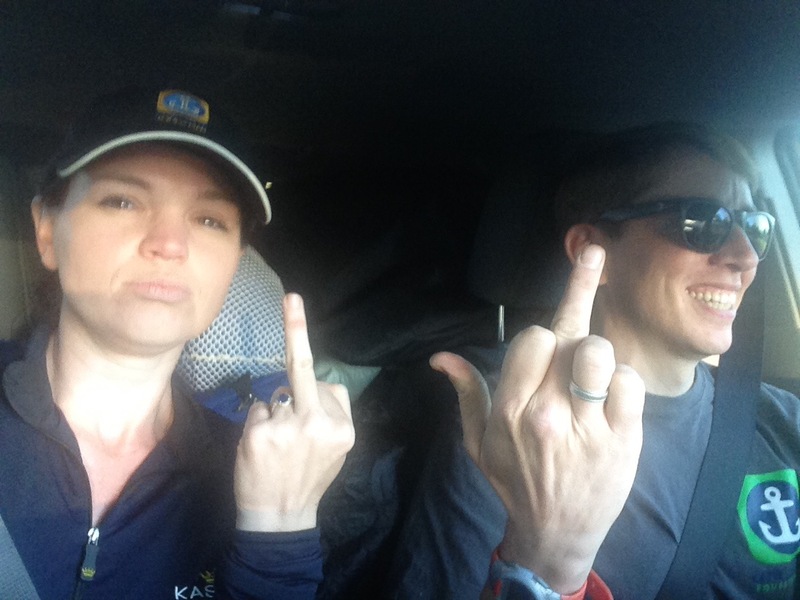 Oh, and every time you get to the end of the driveway and have to turn around to make another lap, don’t forget to halt and salute properly – with a fully extended middle finger aimed directly at the nearest puddle. Haha! I have definitely done a few different versions of this during the winter when my riding space is full of ice! Hah hah Yes! You guys are awesome! Reminiscent of my goals to have the arena freshly drug before a freeze so it is nice and smooth for ice rink dressage! I’ve practiced my craft for years. I could probably excel in Driveway Dressage. Jamp has been working strenuously on his 180 degree rapid turn on the haunch. If you can get him to do that at random, you’re in. I did this exact same thing on Sunday morning. You’d be amazed at the kind of suspension I can get in Simon’s trot when he’s had a week off and is trying to spook at EVERYTHING. I feel this in my soul. I do not miss it one bit. Boarding with an arena is worth the insane amount of dollars for this sole reason!!! you get more points from maiming than you do from death. Extra points for a buck-fart combo every time a car goes by Such fun. Very puddles.